Hi. Hope you are having a good life. In this post, I am going to share with you everything I know about the basics of a diode. In my opinion, it is a very special component in learning electronics, as it is the part of almost every electronics circuit, and yet very simple to understand. Before starting the lecture, let me tell you something. I like to start a lecture with an interesting topic related question. The answer lies in the lecture’s topic. This activity makes the whole lecture fun and interesting. The students stay focus, and try to learn everything to find out the right answer. You can also think of your own questions as well, I am going to start it with a question, how the AC voltage is converted into DC? At the end if we answer this question, we are good, and I am satisfied. Extra Note: If you want a private lecture on the diode basics, I am happily available to teach you in private coaching class. 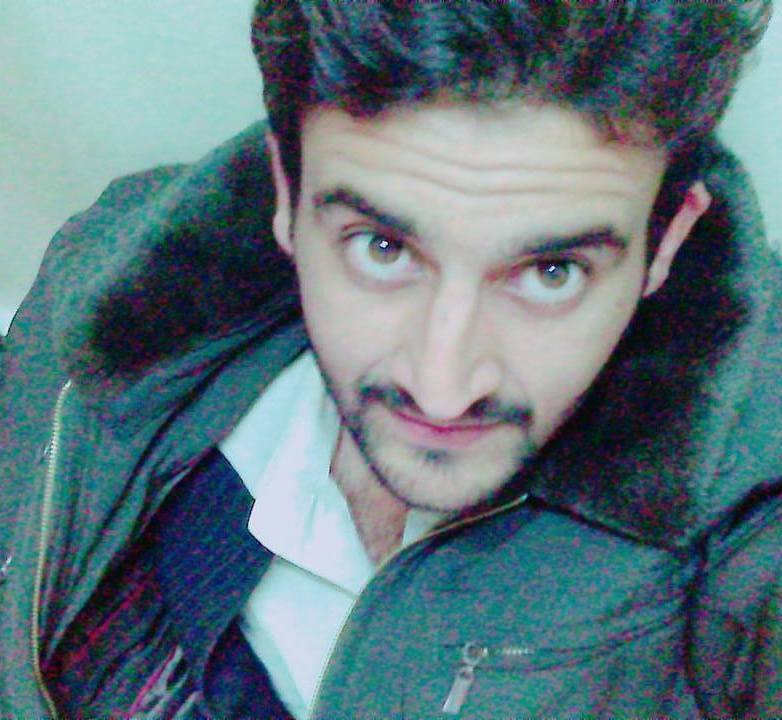 I am BE Electronics Engineering and together we would have awesome learning. No more talk, let’s start to find out the the answer to, how AC is converted into DC? 1 What is a diode? Like other electronics devices i.e. resistors and capacitors, diode is a two terminals semiconductor device which is capable of conducting electric current in only one direction. Almost every source on the internet is giving the same above definition. I define it in very simple terms as, it is just a voltage controlled switch. The reason why I calling it a voltage controlled switch is, the voltage across its terminals determines the on/off states. If the voltage is positive, in case of ideal diode, the diode turns on. In case of silicon made diode, it turns on if voltage gets greater or equal to 0.7V. And for all non positive voltages, a diode remains off. Both the definitions are true and conveying the same concept. To be more precise, actually the capability of a diode to conduct electric current in only one direction makes it an ideal switch. This capability also makes it the main building block a linear power supply. I think you got the idea of a diode basic definition. Electrical symbols of electronics devices play very important roles in making circuit schematics. Just like other electronics devices diode has its own unique electrical symbol. Following is the electrical symbol of a pn-junction diode. 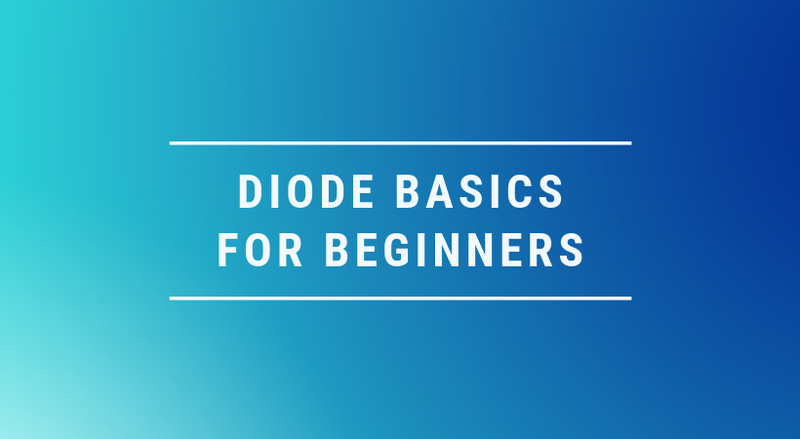 It is the first step in learning diode basics to identify the symbol of a diode and remember it. There are many types of diodes. Each type has its own symbol but the basic design remains the same. You will figure them out as we go further in the lecture. You see the two terminals are clearly mentioned in the above symbol diagram. The terminals are called anode and cathode. The anode is the positive while the cathode is the negative terminal. The question arises here, how we can identify the terminals in physical diode? Let’s find the answer in the following section. We learned about diode’s definition. Now, we really need to have a look at its actual physical appearance. So that we can identify it on various electronics circuit board, or to just use it in our own electronics projects. Following is the picture of diode combined with its electrical symbol. You see, it is like a small black cylinder. Pay attention to the gray line. The gray line always represents the cathode terminal. It will be a quick trick for you to identify the cathode terminal. The above diode is through hole one. It is used in two sided PCB boards or in breadboards for prototyping. A part from this, there exists surface mount diode too. To identify its cathode, same strategy is valid here too i.e. look for the gray line. But what if there is no gray line present there? The answer is, by using a multimeter. Now, how to use a multimeter to identify the terminals of diode? Well, I have the answer for this too. But I share such extra informations only in my private coaching classes. Moving on, I think it would be a cool activity if you can identify the diode yourself in the following picture. Can you tell, where is its cathode terminal? Hopefully, you get the right answers. Now, we learned how a diode physical look. The next interesting thing to learn is, how we can use it in our circuits. To use it in circuit, first we have to learn about how we can power it up. What are the condition to properly power it up and use it in our circuits. The answer is right here in the next section. If you apply positive voltage to the anode and negative voltage to the cathode. You will see a current will start to flow through it. And this specific operation is called forward biasing the diode. 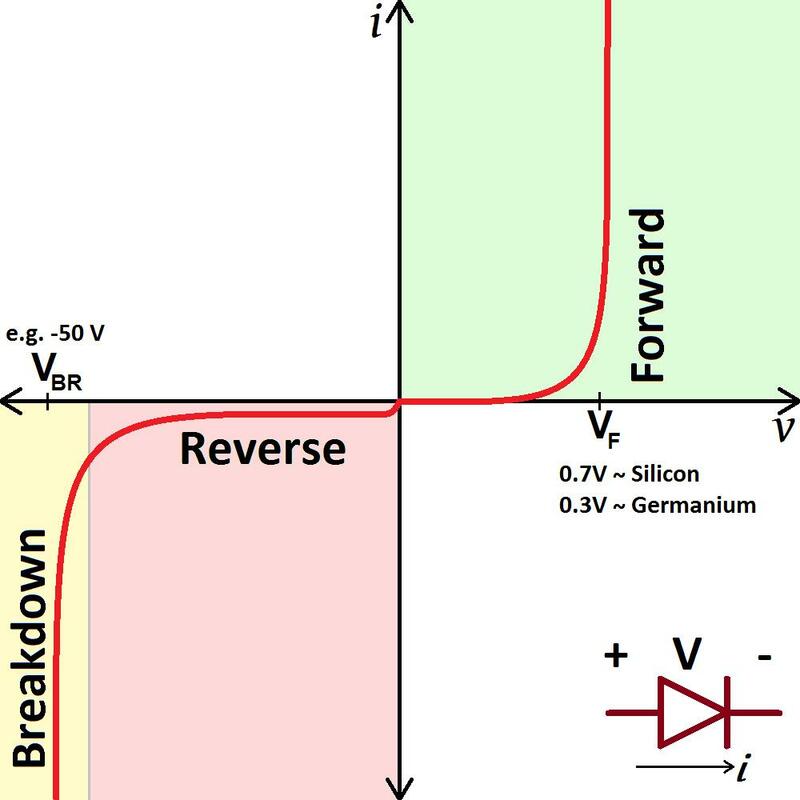 The current that flows in a forward bias condition is called forward diode current. Similarly, if you apply a negative voltage to the anode and positive to cathode you are reverse biasing a diode. And current following through the diode in reverse bias is leakage current. You know, this leakage current is too low but sometimes we do consider it and sometimes we neglect it. In the forward bias region, the diode can be considered as a closed switch. While in reverse bias region it acts as an open switch. In many circuits, it is used as a switch for it very low on state power loses, reliability and cost. Let’s talk a little advance. A diode would be in forward bias if the net voltage across the terminals is positive. i.e. it is forward bias even cathode -10 and anode has -5V. So, to use diode in circuit you have to make it forward bias in order to pass a signal to rest of circuit. We made it up to here in learning diode basics. You are doing very well. Now, let’s see the relation of forward bias voltage and the diode forward current in the next section. A VI graph of a diode shows a relation between the voltage across the diode and forward current through it. It is a very important curve to understand. Just like the transistor, a diode has it own VI curve. Basically, it is called VI curve because at X-axis you have voltage and at Y-axis you have current. The green region is the forward bias region. You can see that after the VF (Knee voltage), forward diode current increased. This means diode is on and operating perfectly. Knee voltage differs for silicon (0.7V) and germanium (0.3V) diodes. The pink region is reverse bias region. You can see a small leakage current is there in the reverse region but it is too low. In this state, the diode acts like an open switch providing an open circuit. Be careful when you are in the reverse region. Do not apply reverse voltage more than VBR (Voltage at break down region). If you do so, you will burn out your diode. Now, you learned how to use a diode in a circuit. The other thing is how to choose a diode according to the requirements of your circuit. To answer this you have to pick a diode capable of handling the circuit voltage, current, and power ratings. For proper operation of any device, you need to know its current, voltage and power ratings. These ratings tell us the minimum and maximum quantity of mentioned parameters to be applied to a certain device. Current ratings of a diode tell us the minimum and maximum current it can support. And the same definition goes for the rest of the parameters. I will take the example of 1N4001, and I will show you how to read these parameters from its datasheet. First, you download the datasheet for your diode. Go to the section: “Maximum Ratings and Electrical Characteristics”. It is not necessary to be exactly like it. But I think you got the idea. Following is the datasheet for 1N4001. Can you see the voltage and current ratings in it? In the first-row peak reverse voltage is given. This is the voltage across the diode when it is OFF (reverse biased). Do not apply voltage more than this, you can burn it out. The second row is giving the same information but in RMS terminology. RMS Reverse Voltage is same as DC blocking voltage. Fifth-row providing information about the maximum forward current a diode can safely handle. To limit this forward current, a series resistor is placed before the diode. You may wonder about the power rating, right? We can simply multiply current and voltage to get the required power rating. For the present 1N4001 power rating is 50W (50V x 1A ). You can see a peak reverse current in the sixth row. Here you can see yourself it is too low as I told you earlier. Always refer to the datasheet of your device. Do not apply voltage without proper information, chances are you may damage your device. Testing a diode means to check whether it’s working properly or not. An easy way to do it by using a multimeter. Following video explains step by step approach to test a diode using a multimeter. There are a lot of different types of diodes out there in the market. Operation of diodes are almost the same but their properties get changed. Some diodes are faster. Some are having more power handling capability. Following is the list of all different diodes. Zener diode: Allows current to flow not only from its anode to its cathode but also in the reverse direction. It is used in voltage regulations. Tunnel diode: It has a very fast operation, well into the microwave frequency region. Varactor diode: It acts like a variable capacitor under reverse bias. Schottky diode: It is a metal-semiconductor junction diode that consumes less power than the P-N junction diode. PIN diode: It is suitable for attenuators, fast switches, photo detectors, and high voltage power electronics applications. Laser diode: It produces coherent radiation. Every circuit needs power for its proper operation. And trust me almost every circuit works on DC power. But we all know AC power is coming to our homes, not DC power. We need a third man to convert the coming AC to DC. This third man is a rectifier circuit. Rectifier circuit converts AC to DC so that we power up DC devices like our mobile phones. This rectifier circuit is made possible due to the invention of diodes. It is a great application of diodes. Without a rectifier circuit, we could not be able to convert AC to DC. Sometimes we need different voltage levels in the same circuit. Instead of designing separate power supplies, voltage multipliers circuits are used. As the name indicated, voltage multipliers are a combination of diodes and capacitors which produce high voltage levels from a reference voltage level. In other words, voltage multipliers are used to produce high DC voltage levels form small AC voltage levels. Providing protection is one of the major applications of the diode. Consider, for example, your car. When your battery dies and a friendly passerby offers to help with jumper cables, if you mix the order of the red and black cables you won’t fry your car’s electrical system because of diodes adjacent to the battery block the wrong-direction current. Using power transistor, or DC motor in your application: pre-wheeling diode plays a key role in protecting other circuit components from reverse current. Clipper is a limiting circuit which limits the output voltage while clamper is a circuit which shifts the DC level of output voltage. Clipping of signal amplitude is required in some application in which components cannot withstand the high magnitude of the voltage. While clamper is used when we need multiples of the input voltage at the output terminal. One of the simpler mixer circuits is based around two diodes. This type of diode known as a single balanced diode mixer circuit provides rejection of the input signals at the output as a result of the fact that the two inputs are balanced. When using a diode make sure you download its datasheet and check for its current, voltage and power ratings. Gray bar on physical diode represents the cathode terminal. You can actually test a diode by using any digital multimeter. I personally, found learning basics of diode very interesting. I remember my first power supply circuit designing, diodes were playing a major role in that circuit. Though at that time I did not have enough knowledge about it but with time I learned a lot. And this post is all about what I have learned so far and will keep updating it as I learn new things about diode basics. This was all I know myself about diode basics. Hopefully, it has helped you somehow. If you have any suggestion or question please contact me or leave a comment. I really appreciate it from the heart.